Meeting Minutes – July 2018 | F.F.A.M. 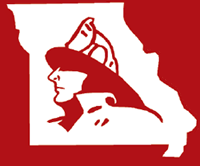 President Ken Hoover called the meeting of the Board of Directors of the Fire Fighters Association of Missouri to order at 9:00 a.m., Sunday, June 3, 2018, at the Missouri State Fair Fire Department in Sedalia, Missouri. President Hoover led the Pledge of Allegiance. Then asked for a moment of silence in remembrance of Chief Jim Silvernail. District 1 Terry Wynne, Galt FPD; District 2 Greg Wright, Shelbina FD; District 3 Larry Jones, Madison West Monroe FPD; District 5 Terry Plumb, Southern Stone FPD; District 6 Gary Berendzen, Cole Co FPD; District 7 RB Brown, Union FPD; District 10 Greg Brown, Eureka FPD. District 3 Steve Gentry, Rob Erdel, Little Dixie FPD; District 4 Jonathan Evans, Lincoln FD; District 14 Glen Dittmar, South Central Buchanan County FD. Historian Kay Asher, Wentzville FPD. Gail Hagans, MU FRTI; Larry Eggen, Johnson County FPD; Doc Kritzer, Memorial Foundation; Harriett Vaucher, Eureka FPD; Charlie Peel, Southeastern Randolph FPD; Joshua Koepke, Kansas City FD; Holden Peel, Madison West Monroe FD; Dale Arnold, Central Jackson Co FPD; Timothy Mattox, North Central Carroll FPD; Chris Thompson, Holts Summit FPD. President Hoover asked for additions to the agenda. Larry Jones moved to accept the agenda as presented. RB Brown seconded the motion and all approved. The 2018 convention minutes will be approved at the 2019 convention. President Hoover asked for a review of the April–May 2018 financial report. Terry Wynne moved to accept the financial report presented. Terry Plumb seconded the motion and all approved. 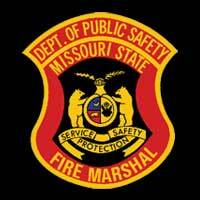 Gail Hagans with MU FRTI advised that Summer Fire School was very successful. There were a few new classes that went well. 250–300 attended. Shuttle rides were offered to anyone who wished to attend the Fire Fighters Memorial Services in Kingdom City which were held during the same time. Hagans was congratulated on the start of her thirty-third year with MU FRTI. Fire Marshal Tim Bean with the Division of Fire Safety was unable to attend however, an email report from him was read by Secretary Miller. The biggest issue is the appointment of the new Governor but he feels that his position as the Fire Marshal is secure. Governor Grietens didn’t sign the new budget so it is in a holding pattern until Governor Parson signs it. Workers compensation funding is in the budget, so he will let everyone know if it gets signed. $1 million was allocated. Glenn Dittmar wanted to share with everyone that Andrew Chamberlain with Banner Fire Equipment is offering a complete Class A Uniform for $280. Chamberlain can be contacted at 314-757-4576. 1st V.P. Larry Jennings presented a proposal to invest some of the existing funds into higher interest-bearing certificates of deposit. Discussion followed. Greg Brown moved to accept the proposal and to allow Larry Jennings to invest the funds as would best serve the organization. Terry Plumb seconded the motion and all approved. Secretary Miller advised that her laptop computer crashed and the repairs for the aged computer were significant. She asked the Board for a one-time purchase, up to $2,500, for the purchase of a new computer and software. Glen Dittmar move to authorize a one-time purchase up to $2,500 for the purchase of a new computer and software. Greg Brown seconded the motion and all approved. 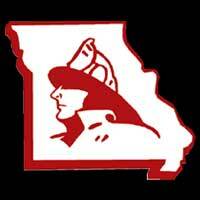 President Hoover advised that Monty Thompson has requested the appointment of Joshua Koepke of the Kansas City Fire Department to District 11 Assistant Director. Greg Brown has requested the appointment of Harriett Vaucher of the Eureka FPD to District 10 Assistant Director. RB Brown moved to accept the appointments. Jonathan Evans seconded the motion and all approved. Larry Jennings reported on behalf of Joe Jennings that nominations are due February 28, and can be submitted at any time. There were very few award nominations received this year so departments are encouraged to get nominations submitted. Larry Jennings reported that the Contingency Fund is over budget by $28.15. No adjustments to the budget category will be made at this time and it will be reviewed at the end of the year. Rob Erdel reported that everything went well during the contest however, participation was down. He wanted to remind members that a contest team doesn’t have to all be from the same department as long as they are FFAM members, so everyone is encouraged to get with their department and neighboring departments and get teams put together for next year. Larry Jones reported that he hasn’t received any final report yet from St. Joseph FD. Discussion was held on the location of the 2019 convention. Festus might be willing to host but they won’t be able to confirm until the next meeting. Terry Plumb reported that he was also been speaking with Tri Lakes Fire Fighters Association about possibly hosting. Gail Hagans reported that she is working with Rick Dozier and Kyle Arnold to possibly host the Grain Bin Extrication training during the state fair. RB Brown reported that all winners will be invited to the fair. The 2019 theme has not yet been announced. Greg Brown reported that the new Governor took office on Friday, June 1. Governor Greitens signed 77 bills on Friday before his resignation including an EMS bill, false lien bill and federal reimbursement. The 9-1-1 legislation passed but wasn’t signed yet. The budget also hasn’t been signed. $1 million has been allocated for workers compensation funding in the proposed budget. The restructure of the Fire Education Commission didn’t pass. The presumptive cancer legislation is still in the works. He will send out a final legislative report in a couple weeks. 2nd V.P. Grant Oetting reported the following membership counts: 468 Directors/Councilman; 280 Retired; 23 Associate; 13 Sustaining; 17 Corporate, 334 Departments; 6284 Active; 11 Educational; 88 Juniors. Keith Smith was unable to attend but an email report from him was read by President Hoover. Fire Departments Need Volunteers to “Step up and Suit Up”. Larry Eggen reported that there have been some issues with all required documentation not being submitted with the scholarship applications received. He wanted to remind everyone that the application guidelines must be followed, and the required documentation must be submitted, no exceptions. Those not submitting the required documentation will be disqualified. Steven Gentry reported that numerous applications were received, and acceptance/rejection letters would be mailed out next week. The next work weekend is July 13-15. 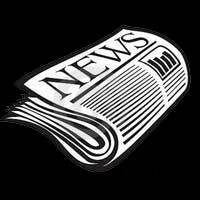 The deadline for the next newsletter will be July 1. Fire prevention posters will be reprinted in the next newsletter due to an error in the previous issue. Grant Oetting reported that everything was moved from Kay Asher’s basement to Kingdom City on June 2. Fifteen people representing eight departments assisted with the move. The safes will be moved in the near future. Harriett Vaucher reported that the public announcement systems might have to be replaced in all of the trailers due to the government changing the frequency on the equipment. Greg Wright reported that Stan East with La Plata FD passed away in May and his memorial service will be July 7. Gail Hagans has accepted the open seat appointment to the Foundation Board of Directors. We are now back to fifteen members. We honored fifty-two names in this year’s Candlelight and Sunday morning services. Three were LODD, one from 1849. We continue to discover LODD names and we will continue to honor them regardless of date. Both services were held inside the Auxvasse Elementary School due to weather. The Governor attended, with two-hour notice but that is how they roll, and spoke in the morning service. Dave Hedrick was our candlelight speaker and Fire Marshal Tim Bean was the Sunday morning keynote speaker. We continue to struggle with the discovery and notification of those which have served and passed. The foundation’s goal is to honor all that have served, but we cannot present what we do not know. Please spread the word in contacting the foundation with this information. In the May 2019 service we will honor all that we know from 2018 and up through January/February of 2019 if the family would desire to move forward versus waiting until the following year. We will also go back up to three years in honoring of names. In 2019 we will accept anyone missed from 2016-2017. 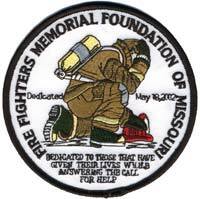 A listing of those recently honored will be sent to the FFAM newsletter. Following the Sunday morning service, the weather cleared, and we were able to have a kick-off ground-breaking for the museum on the grounds at the memorial at 1:00 p.m. Three donation checks of $10,000, $5,000 and $1,000 were presented during this ceremony. FFAM President Hoover presented a moving opening statement and we moved some sod. An architectural elevation of the proposed redesigned museum was revealed at the FFAM Convention and on-site for the ground-breaking. The foundation is working with Casco Architecture and Engineering out of St. Louis on the design work. Project is proceeding toward a design package release for bids. Doc Kritzer reported that a couple of bricks have been corrected and that more 8×8 bricks are needed. Glen Dittmar moved to adjourn the meeting. Greg Brown seconded the motion and all approved. President Hoover adjourned the meeting at 10:10 a.m.